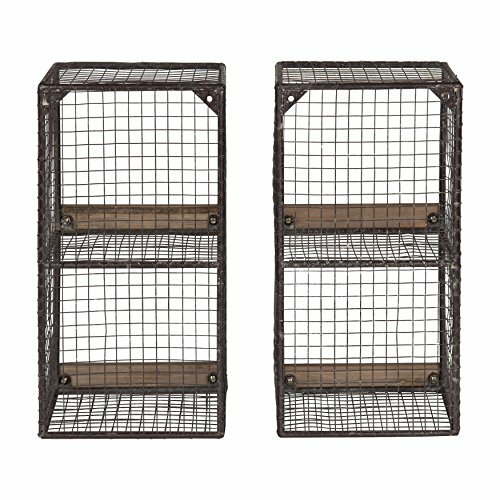 Use this versatile set of two metal cage shelves in your kitchen, bathroom, or home office for unlimited organization. 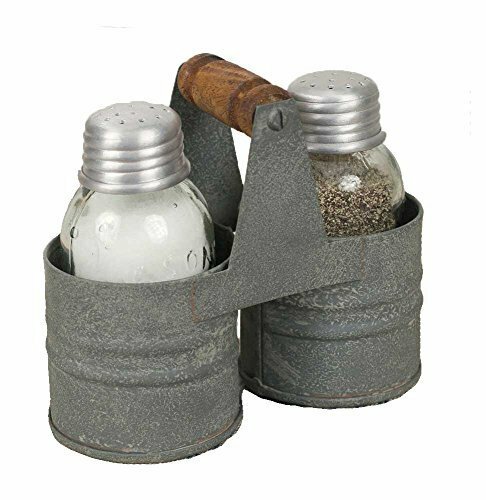 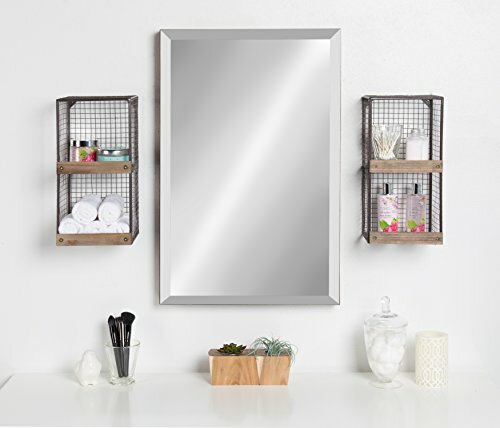 With a wooden shelf set in a wire cage, there is ample storage for desk accessories, cleaning supplies, spices and seasonings, small towels and more. 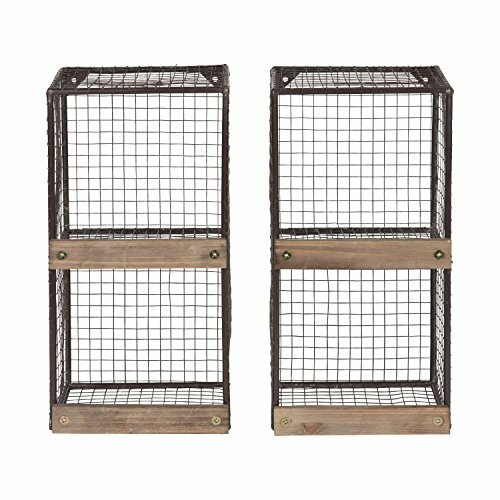 Each shelf has inner space of 6.5 inches wide, 6.75 inches high, and 6 inches deep. 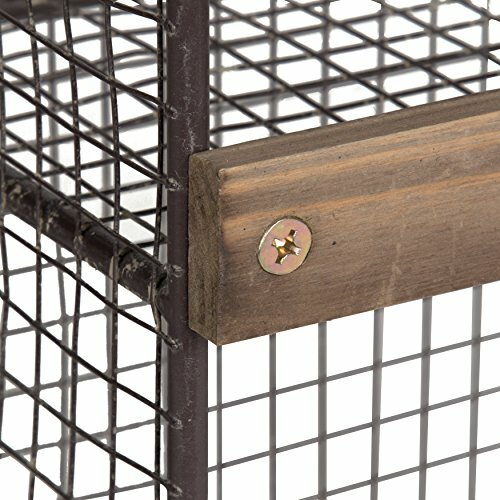 The shelves each have two holes built into the metal frame for easy wall hanging. 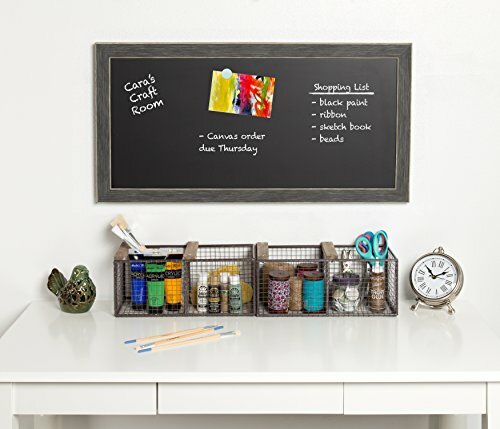 The outer display dimensions measure 7.25 inches wide, 14.5 inches high, and 6.5 inches deep. 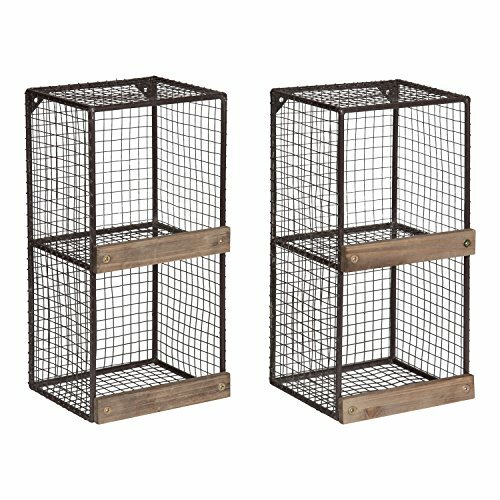 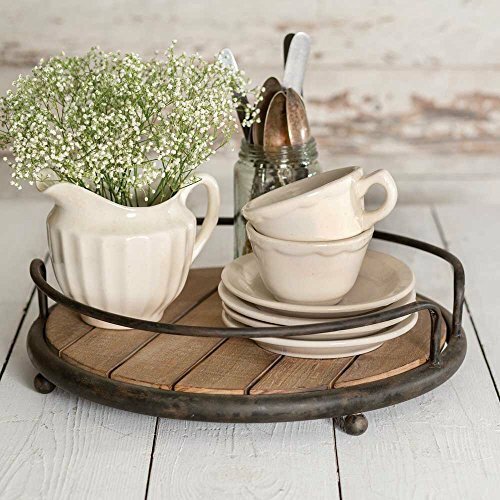 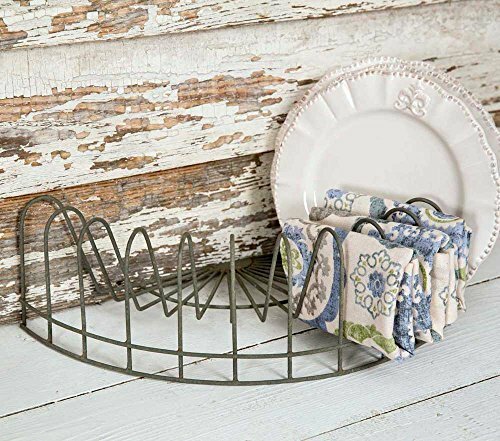 The wire cage shelves are constructed of distressed metal and wood for a charming decorative accent for your rustic farmhouse design.